ljcfyi: They both forgot their pants! They both forgot their pants! 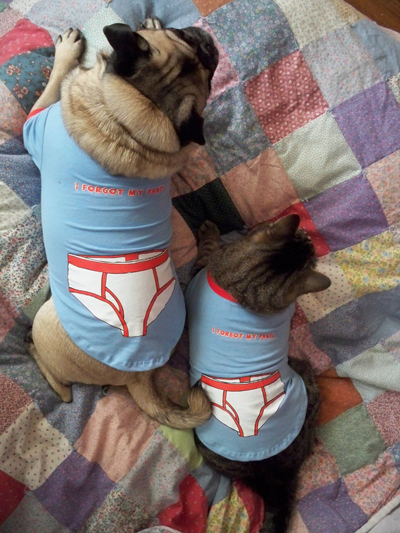 We finally found a "I forgot my pants" t-shirt for Oscar too. And it was only $2! They look ridiculous together. Neither of them can remember their pants. haha that's hilarious. It's even funnier now that they are a matching set. Too cute. ok, i need to get mylo a shirt like that!